In recent years, I have challenged myself to try to grow something new each year. Originally it was more unusual varieties of potato, such as Salad Blue or Highland Burgundy Red. As my confidence with growing vegetables developed, I then moved on to vegetables that I had never really come across before, such as Kale, and Fennel bulbs. These were not part of my diet growing up in Australia, so although they might not be unusual to people in the UK, they were to me. Both are now firm favourites on my dinner plate and in my growing plans, and I wouldn't be without them. 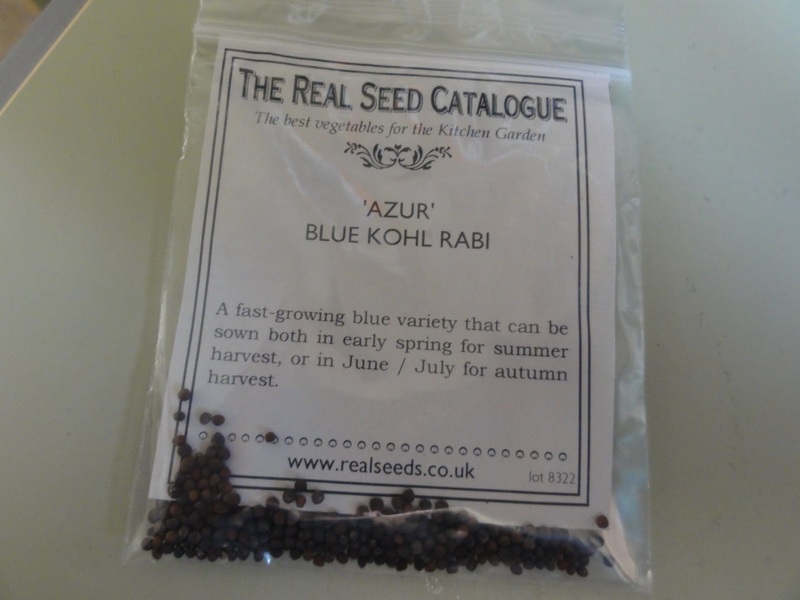 There is something kind of alien about the look of Kohl Rabi, and also rather fabtabulous! I had to google it to learn how to cook it. I chose to roast it because that seemed the easiest thing to attempt for a first time. It was crunchy and delicious; could I please have some more? Kohl Rabi can also be used in curries, salads and can be stir fried, so it's a pretty versatile vegetable. When thinking on what I should experiment with this year, this was an obvious choice. And it's purple! I have a penchant for purple vegetables, and although Kohl Rabi also comes in green, I of course, had to go for the purple variety. Kohl Rabi is my something new for 2014. What's yours?